You will love this Rustic Market Bag. 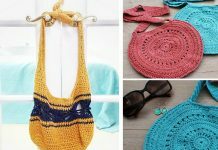 Crochet mesh bags are so beautiful and practical as their open stitch, net-like structure allows them to stretch to hold many items during grocery. It is true simple but very cozy, stylish and comfortable. The beautiful bottom for this tote is Springtime Magic Mandala.This bag is great for trips to the farmers market, library, or summer days at the beach. 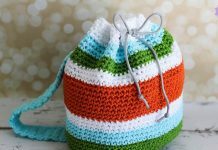 This Rustic Market Bag Crochet Free Pattern is perfect for the determined beginner and seasoned crocheter alike. It is large enough to fit everything you need, and can also fold up for easy storage and travel. Made with cotton/linen blend yarn, it is lightweight and easy to care for and clean. 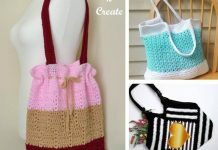 Thanks Hverdagsmagi for sharing this free crocheting pattern. The link for the free pattern is provided below photo. Happy crocheting.